A toddler suffered “life-changing’ injuries at the hands of his mother’s abusive partner after a local authority failed to enact a plan to safeguard him and his sister, the Local Government and Social Care Ombudsman has found. East Riding council did not check on the whereabouts of the two small children, ‘B’ and ‘G’, despite identifying a risk to their safety when their mother, ‘Ms M’ was hospitalised after an altercation with her partner, ‘P’. P was later jailed after causing serious harm to B by shaking him. In the wake of the original incident, East Riding disregarded a court order in respect of contact between Ms M and G, the ombudsman found, and took 76 weeks too long to consider complaints made by ‘Mr F’, the children’s father, about the safety of the children. Mr F and his mother, Mrs PGM, were also unfairly blamed by the council for failing to raise concerns about risk to the children sooner. As well as recommending East Riding council pay £4,000 in compensation to Mr F and Mrs PGM, the ombudsman told the authority to refer B’s case to the local safeguarding children board in order that a serious case review could be commenced. Ms M was taken to hospital on 20 November 2013, suffering from blurred vision and headaches after an alleged altercation at home with P on 18 November. Children’s services received a referral about the incident on 21 November, with records stating G was with Mrs PGM and B was with his maternal grandmother. P remained at the family home. The council, which believed the children to be safe for the moment, assigned a social worker to the case who discussed it with a manager. It was agreed the social worker would visit Ms M in hospital, challenge her about domestic violence and warn that if she intended to continue her relationship with P, the council would consider removing her children and placing them with a family member. The social worker’s record says she made it clear to Ms M “there would be concerns” if she resumed her relationship with P.
The council decided to begin a single assessment and Ms M was released from hospital. At a meeting on 22 November, Ms M told the council she had ended her relationship with P and would spend the weekend with a relative before returning with B and G on either 24 or 25 November. Mr F and Mrs PGM were then due to care for B and G for a week. The council made no further record until 27 November, when it was noted Mrs PGM called the council to say that B had been admitted to hospital with suspected meningitis. Mrs PGM later reported that doctors were concerned B had suffered a non-accidental injury, prompting the hospital to make a safeguarding referral. P was subsequently convicted of causing B serious injuries by shaking him, with Ms M also convicted of failing to protect B from harm. The ombudsman found East Riding council was at fault for failing to protect child B from harm. Despite considering both B and G to be at risk following Ms B’s visit to hospital, the ombudsman said the council did not analyse this risk further or put in place “a plan to check on their safety”. This omission came in spite of the social worker’s reservations about Ms M’s ability to protect her children by ending her relationship with P – who was known to the council because of domestic violence in another relationship – the watchdog found. The ombudsman found no evidence the council had made any plans for the children’s return; nor did it appear to check on their whereabouts or welfare “at all”. East Riding appeared not to have checked whether Ms M had complied with the plan to keep her children safe and taken them to Mrs PGM, the report added. The ombudsman also concluded the council’s single assessment was “not child-centred”. East Riding’s inaction “reflected a desire to think the best of Ms M”, failing to consider the risk P may have posed to the children, the investigation found. The case highlighted the importance of the basic principles of child protection set out in Working Together guidance, the ombudsman said. “When dealing with concerns for the welfare of children, councils must assess risk from the child’s perspective. We also wish to repeat the caution in Working Together against ‘a desire to think the best of adults and to hope they can overcome their difficulties’. Had the council followed this advice, the outcome could have been different,” the report said. East Riding was also found by the ombudsman to have been “unfair” for implying Mrs PGM was at fault for not raising her concerns sooner when she learned Ms M and P had not ended their relationship after the initial altercation. Mrs PGM said she made numerous telephone calls to the council on 25 November to raise her concerns for the children, but that it took no action. When responding to her complaints, the council said it had no record of Mrs PGM’s calls, and the social worker and manager both denied speaking to her on 25 or 26 November. The ombudsman said “it was not Mrs PGM’s responsibility to police the relationship between Ms M and P”. The council, not Mrs PGM, had a statutory duty to protect the children, the ombudsman pointed out, particularly given its doubts as to whether the couple would actually separate. Nine months after the altercation between Ms M and P, in August 2014, G made a disclosure about P that led to a police investigation – though the child was not interviewed for nearly three weeks, by which time she could not recall the disclosure. At this time, private family proceedings were underway between Mr F and Ms M, whose contact with her children was being supervised by the council – a process Ms M said caused her distress. A court order issued on 4 August stated that council-supervised contact was to continue until the police’s interview with G. But East Riding “took a best interests decision” to allow maternal relatives to perform the supervision instead. The ombudsman said the council should have referred the matter back to the court before changing the arrangements and said it’s failure to do suggested it “did not accord events the seriousness they deserved”. As well as its own failures around safeguarding, East Riding council also exceeded statutory timescales to respond to Mr F’s complaint about the council’s handling of the case. After a complaint is made, councils must produce a written response within 10 working days. But the council took 216 days to issue a written response to Mr F.
Councils must also respond to an independent investigator’s report and convene a review panel within 25 days and 30 working days respectively. East Riding was late responding to both of these stages of complaint as well. The council agreed to apologise to Mr F and Mrs PGM for its mistakes, including its attempt to blame Mrs PGM, and to pay Mr F £3,000, and Mrs PGM £1,000. An East Riding spokesperson said the authority had learned “important lessons” from the case. 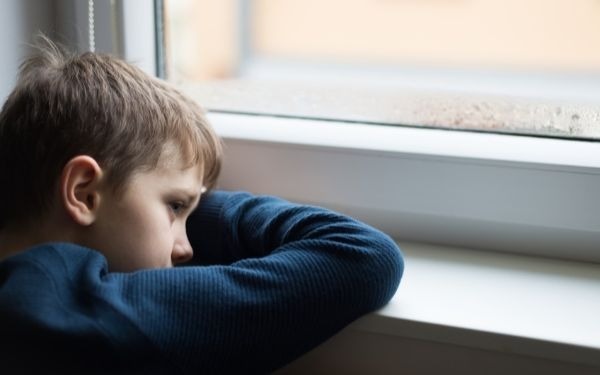 “There have been significant improvements and developments in how safeguarding concerns for children are responded to over the past five years,” the spokesperson added. This failure to follow statutory guidance in Working Together seems to suggest a lack of legal competence. However, the real issue is the lack of respect for the law. Local authorities are well known for interpreting the law to suit themselves. The police do the same thing. One of the reasons for this is that the way the law is interpreted is now more influenced by lobby groups. Presumably it can get even better now that a serious case review has been ordered 5 years after the event!